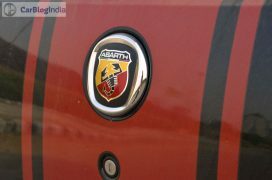 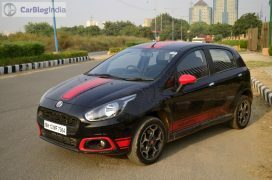 Ladies and Gentlemen, meet Clark Kent in his fancy blue suit, meet the epitome of alter ego, meet the new India-spec Fiat Abarth Punto. 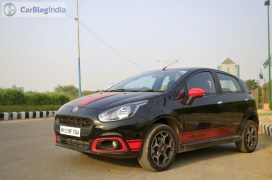 While this car can be regarded as a ‘souped-up’ version of the Fiat Punto Evo, its manufacturer, quite apparently, doesn’t want you to believe it’s a Fiat – You’ll be quick to realize that the Fiat badge is conspicuous by its absence on this car. 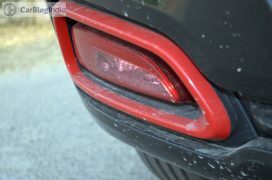 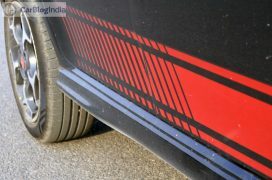 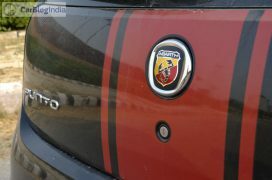 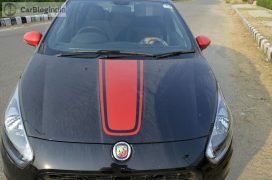 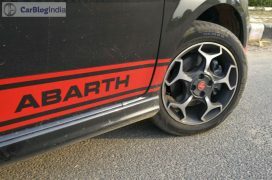 This is simply because of the fact that Abarth boasts of a fine racing heritage and while it has been under the ownership of Fiat Auto since 1971, and its cars almost always have been heavily modified Fiats, Fiat has always deemed it appropriate to let these performance versions have their own distinct identity. 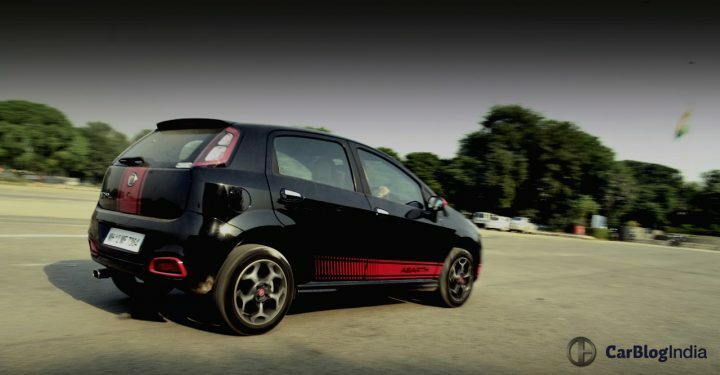 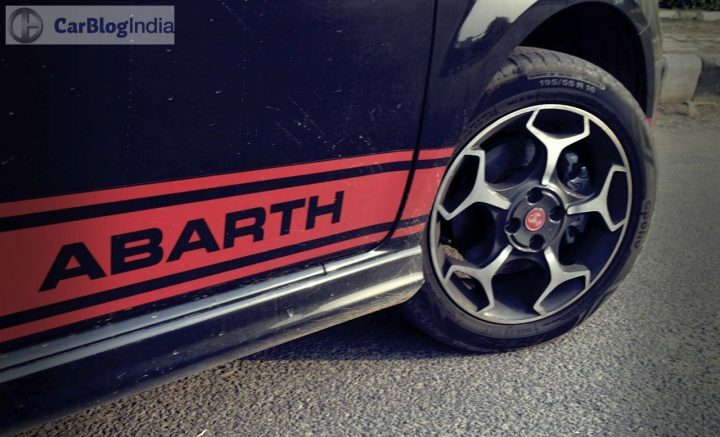 Read our Fiat Abarth Punto review here to find out how this performance-tuned motor has left the insatiable performance junkies in us buzzing with excitement. 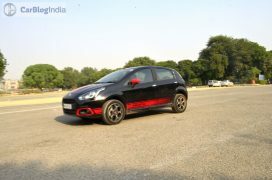 Yes, much faster than your average 5-door family hatchback. 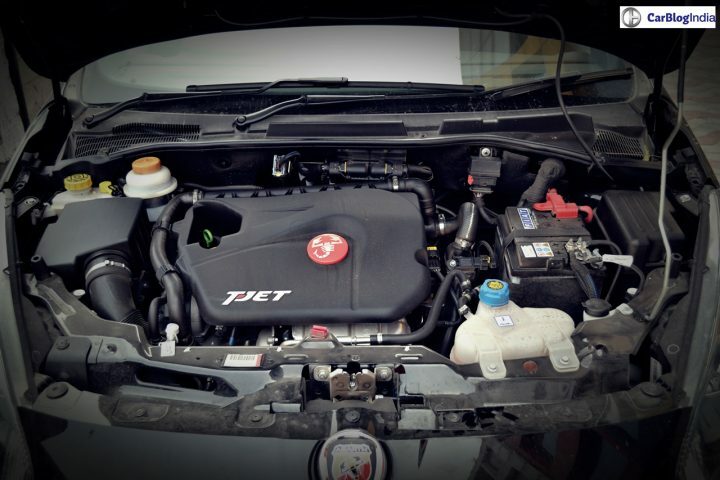 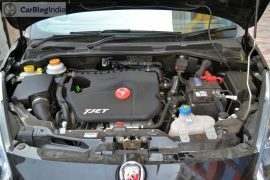 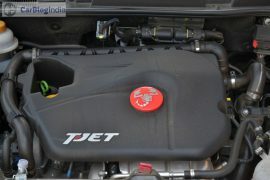 Under the hood of the new Abarth Punto lurks a 1.4-litre T-Jet MultiAir 4-cylinder petrol engine that pumps out a maximum power of 145 bhp and a peak torque of 212 Nm. 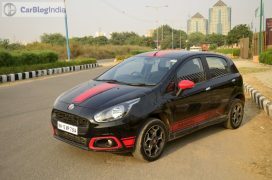 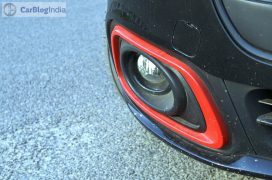 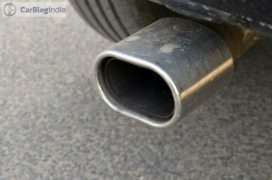 Fiat India claims that this car can dismiss 100 km/h from standstill in 8.8 seconds and goes on to hit a top speed of 195 km/h. 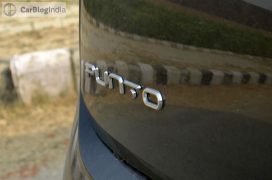 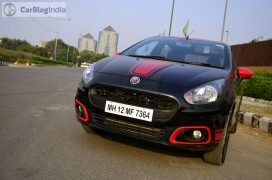 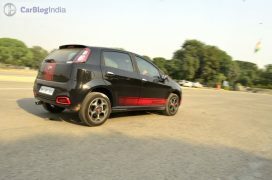 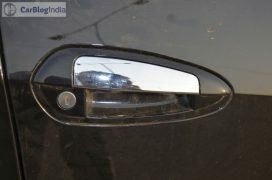 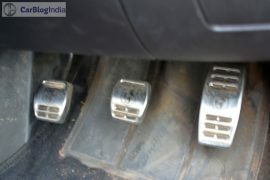 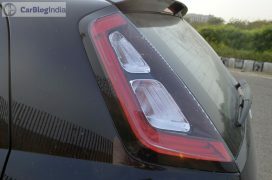 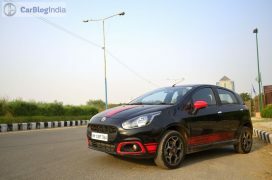 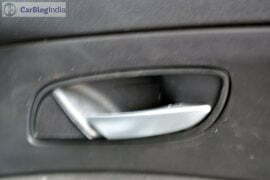 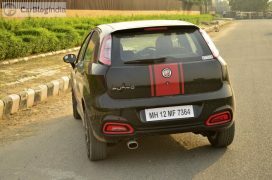 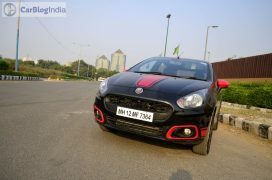 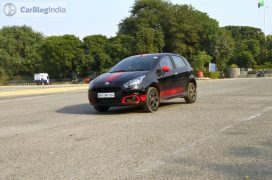 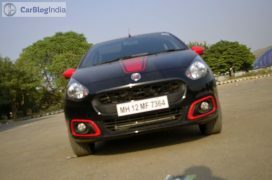 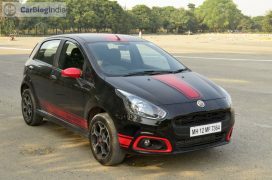 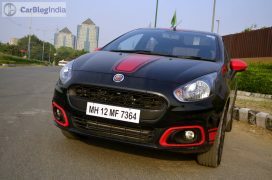 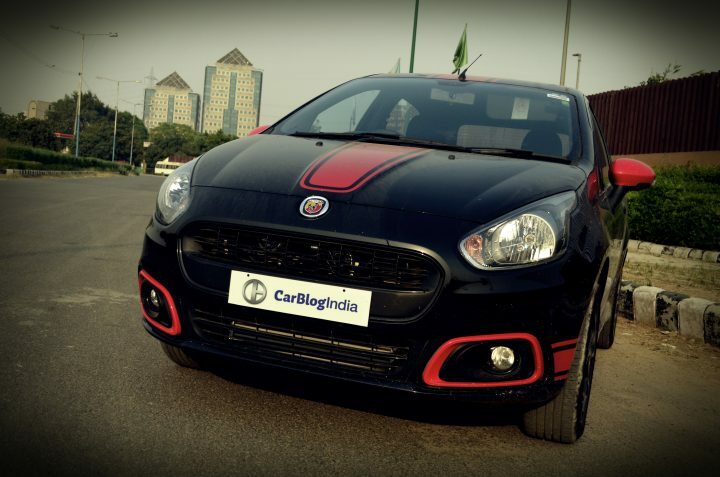 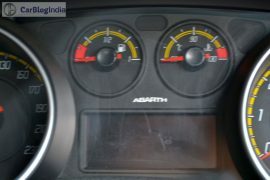 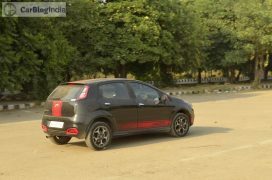 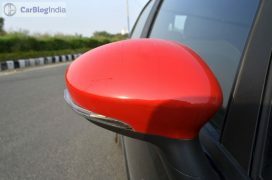 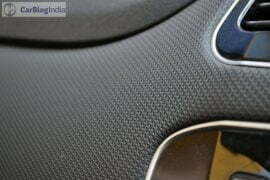 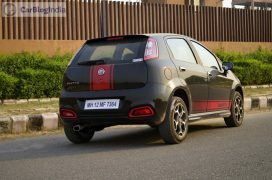 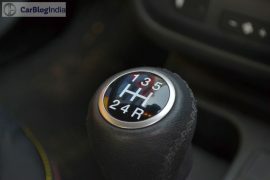 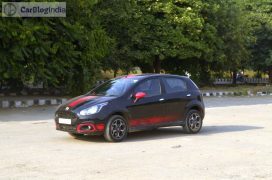 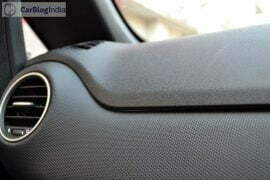 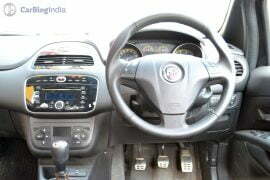 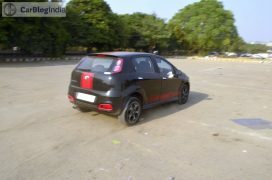 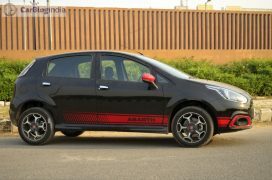 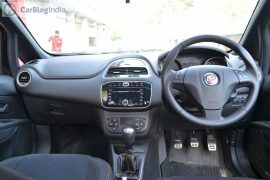 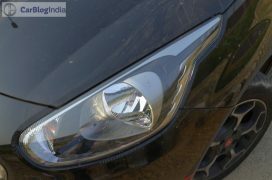 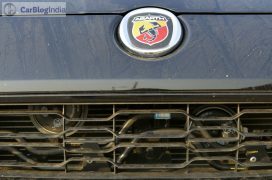 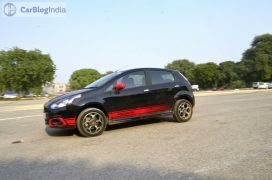 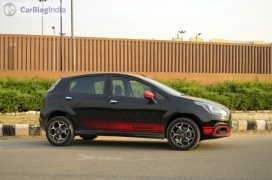 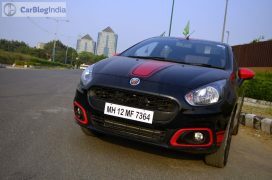 Fiat India managed to strike a good balance between the original Punto’s ride and handling characteristics. 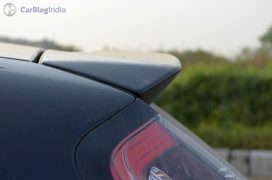 The post-facelift model, however, fails to feel anywhere as poised. 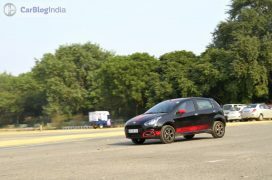 Thankfully, however, the Abarth Punto, even on being based on the Punto Evo, is just the right companion on your apex hunting trips. 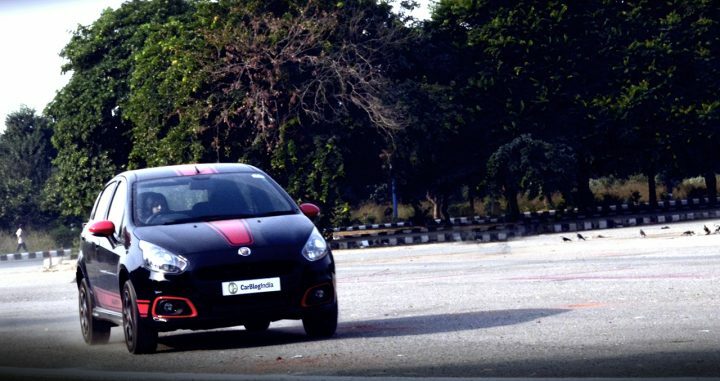 Throw this car into a tight corner and the high grip levels instill enough confidence in you to push even harder. 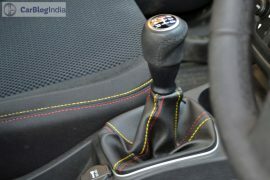 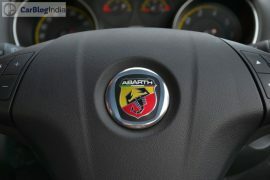 The Abarth Punto’s steering offers enough feedback and is pretty direct too. 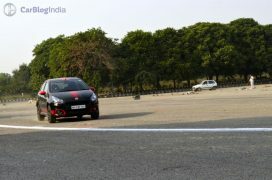 There’s some body roll when cornering really hard, but it never gets really unnerving. 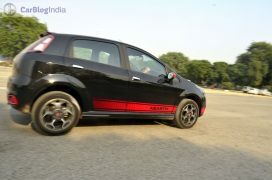 And unlike what we anticipated, the Abarth’ed Punto impressed us with its decent ride quality. 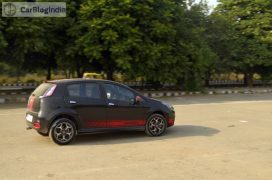 This car can just glide over most of the small-sized craters and speed-humps and even the slightly larger undulations don’t really pose a threat to this car’s composure. 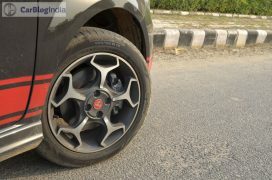 The Abarth Punto gets an all-disc brake setup. 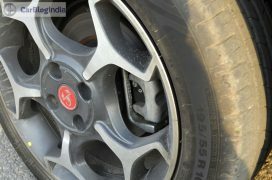 The car exhibits an impressive braking performance and the brakes are sufficiently potent to safely haul down this car from really high speeds.